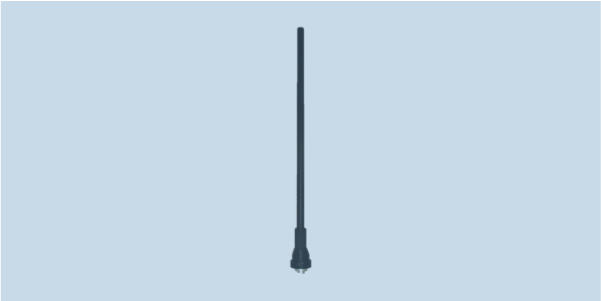 WBC2300 is a dual port wideband antenna covering 20-3000 MHz for high power CREW applications, especially where multi-antenna installations are not possible. WBC2300 integrates two antennas into one rugged structure. The 25-512 MHz low band is a monopole and requires a groundplane for proper operation. The 500-3000 MHz high band is a wideband ground plane independent radiator. Port 1 has less than 3.5:1 VSWR and handles 140 W RMS, while Port 2 is less than 3.5:1 VSWR and handles up to 200 W RMS of power. WBC2300 has two female N connectors and mounts with the standard US four hole pattern. The -R1 version allows the radiator to be removed from the base.